From their Perthshire and Aberdeenshire bases ATV Engineering can supply any make or type of utility or sports quad bike or ATV throughout Scotland and the UK. For the utility ATV owner we can supply a full range of attachments . ATV Engineering are agents for the full range of Yamaha snowmobiles, from basic utility models to keep you moving in the worst of weather through to the latest mountain, sports and leisure models. Turn next Winter’s hassles into fun! 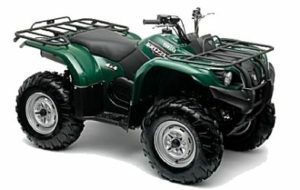 We can supply a huge range of spares and accessories for most mainstream makes and models of ATV. A selection of shop stock ATV spares and clearance items is now available on site via our easy-to-use online shop. ATV Engineering have been in business since 2000, supplying Aberdeenshire and Scotland with ATV (Quad Bike) sales and service from our outlets at Brockhills, near Inverurie, and Blairgowrie in Perthshire. We are Yamaha specialists , but we can source and supply any model of utility or sports quad bike or ATV throughout Scotland and the UK and carry a wide range of spares in our online shop.